FOR IMMEDIATE RELEASE: Portland, Maine (February 8, 2018) – New England Fights (NEF) returns to Aura in Portland on April 14, 2018 with the fight promotion’s next mixed-martial-arts event, “NEF 33: Riptide.” Earlier today, NEF announced the addition of an amateur catchweight bout to the card. Nate Boucher (2-2) will face Walt Shea (2-1) at a fight weight of 130-pounds. Nate Boucher will be looking to bounce back from back-to-back losses in the NEF cage. The former wrestler from Mountain Valley High School in Rumford, Maine lost very close split decisions at both “NEF 31” and “NEF 32″ recently. The first was an amateur flyweight title fight against Justin Witham (4-4) in Portland. Last weekend, Boucher dropped his second split decision in as many events to Ryan Burgess (3-2) in a number-one-contender’s fight. Prior to those two losses, Boucher had been undefeated in the NEF cage. He currently trains with Central Maine Brazilian Jiu-Jitsu (CMBJJ) in Lewiston, Maine. Like Boucher, Walt Shea was undefeated prior to his last loss in the NEF cage. 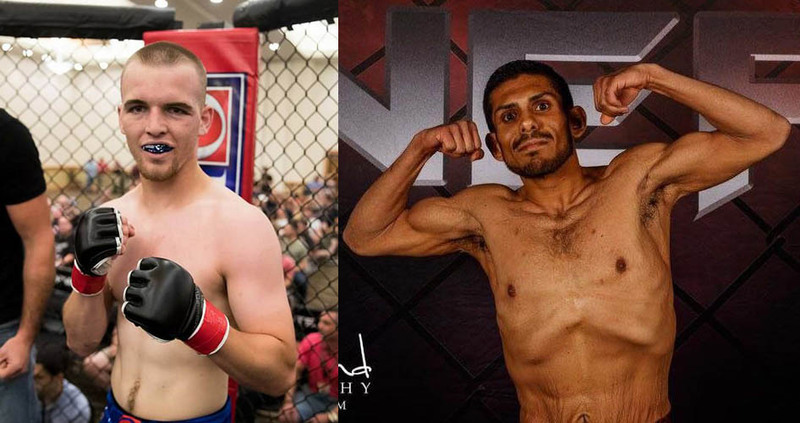 Shea had defeated Joel Downing (0-1) at “NEF 25” and then Alan Bustamante (0-1) at “NEF 27.” Both victories came by way of unanimous decision. Shea earned himself a shot at the NEF amateur bantamweight strap, but lost to Fred Lear (6-2) by TKO in the second round at “NEF 30” last summer. Shea is a member of First Class MMA in Brunswick, Maine.